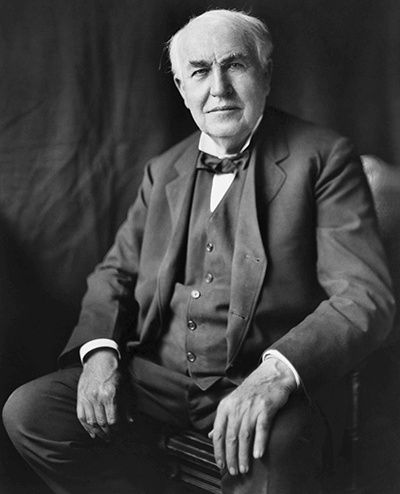 Thomas Edison is the most prolific inventor in U.S. history with 1,093 patents. No other inventor improved the standard of living of Americans in the 20th century as much as Edison. His inventions span diverse fields: electric lighting and power systems, batteries, recorded sound, and film. Edison contributed to both chemistry and botany with a project in Fort Myers to find a natural source of rubber to be grown in the U.S. during a national emergency. Credited for creating the first modern industrial research laboratory, Edison followed an empirical approach to scientific research and helped set the standard for how to invent. As the man of the millennium, Edison’s research and business practices created the model for today’s research laboratories, product development and invention processes.